The secret to a delicious panna cotta is just the right amount of gelatine – just enough to hold it together. So that the moment the panna cotta hits your mouth, it transforms into silky sweet cream. So little that you wonder how the dessert held its shape in the first place. I wanted to make this panna cotta for two reasons, first to taste the cookie milk and secondly salted caramel in desserts is a no brainer for me. I also wanted to go all the way and make a cookie crumble and caramelized hazelnuts. Cookie milk is actually milk that you become from soaking cookies in… milk. Herefore I used butter cookies, they make the milk sweet with a hint of caramelized sugar. And that is the base for this recipe. The cookie milk is poured over chilled salted caramel sauce and this simple trick creates layers. 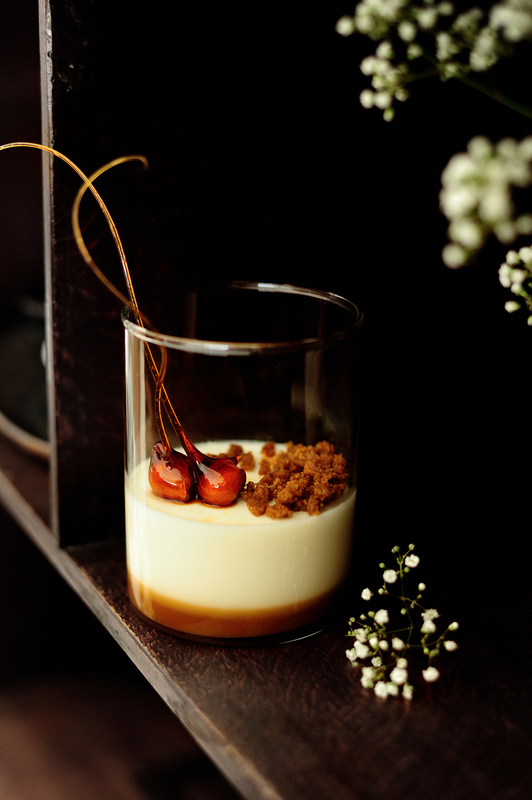 The wonderful mix of creamy panna cotta and smooth runny caramel will surely impress everyone. In a large bowl, add the cookies, milk and cream. Add sugar and stir. Set aside for 20 minutes. In the meantime, make the caramel. Put the sugar in a saucepan, add water and stir. Place the saucepan over medium heat, and leave it just like that. Don’t stir, just keep an eye on it until the sugar begins to melt and turns into liquid, all around the edges. Then give the pan a good shake, and leave it on the heat until caramel-coloured, it should be amber-gold. Turn off the heat, add butter and cream, stir with a wooden spoon until dissolved. Now bring to a boil over a low heat, stirring constantly for about 1 minute. Add sea salt and stir. Allow to cool. Then pour a thin layer into glasses and put in the fridge. Strain the cookie milk through a fine sieve. 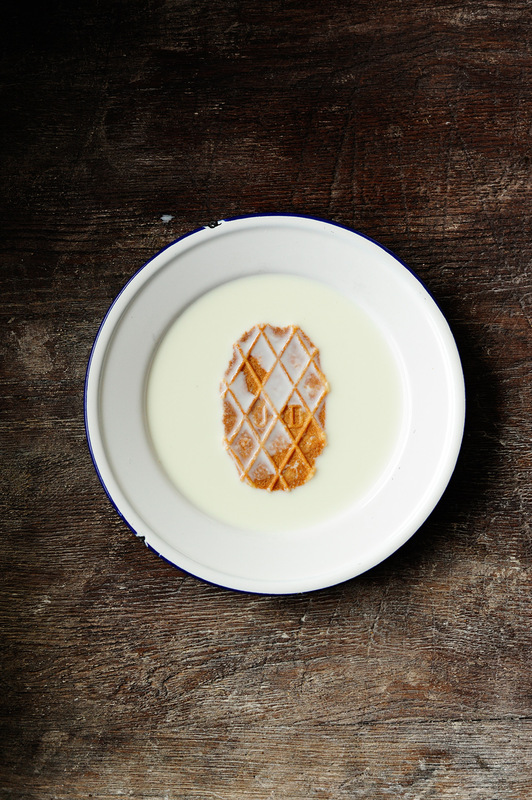 In a saucepan, heat the cookie milk with the sugar and vanilla until the sugar is completely dissolved. Turn off the heat. Squeeze all water out of gelatin sheets and add to the mixture, stir until gelatin has dissolved. Set aside to cool for 15 minutes. Then carefully pour into the glasses with salted caramel and put in the fridge for 3 hours. For the crumble, crush the cookies, combine with butter and sugar. Place on a baking tray, bake for 20 minutes at 150°C. Cool completely and serve with the panna cotta. I’ve been making cream possets a lot recently, but not yet mastered the panna cotta (so many vegetarians! ), but would really love to as I adore it. Your version looks wonderful! Oh my. I’m totally drooling right now. This looks AH-mazing!!! Love the idea of making a cookie milk! This sounds and looks delicious. Your photos are beautiful. This dessert just looks so good. I’ve been dreaming about them for about 5 minutes while staring at your gorgeous photos. so happy to read this, thank you! 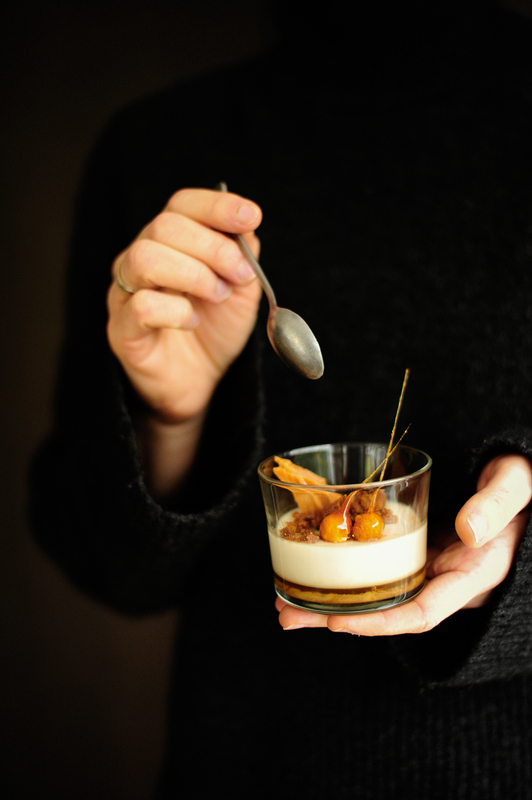 Beautiful photos as always and an absolutely delicious sounding panna cotta recipe. thank you so much Mandy! !